Suction cups always steal the show from their essential partners: cup holders. Vuototecnica designers know, in any case, that it is a seeming subservience because these ones often resolve operational and installation problems, even in harsh environments. This is the case of special cup holders, able to work under humidity extreme conditions and in very dusty environments, too. 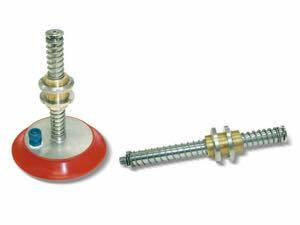 here are different types with high, low or double springing path, depending on the load to be lifted and on suction cups to be mounted (simple or bellows). 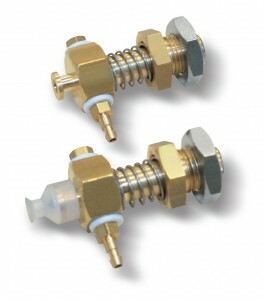 There is also the possibility to request them with a feeler pin or a feeler valve, devices able to open the suction only when the suction cup is in contact with the load. In this way, we avoid waste of power supply because when the surface is not uniform or when not all pads are in contact with the load, no vacuum is created. You can also think of providing them with self-closing valve that literally excludes non-contact suction cups and also prevents the lowering of vacuum degree in other suction cups. However, when the load is not parallel to suction cups, special jointed cup holders (with or without swivel joint) do the job. Compensating for errors in perpendicularity, allow the grip safely. They are finally available in non-rotating version and in different materials, to solve all handling and assembly problems. And if you need something special for your application, you may also contact us to request a custom design. Robots for the discharge of molded parts from plastics printing presses need reduced in size and very lightweight handling solutions. To meet this demand, Vuototecnica designed a range of mini cup holders that stand out for firmness and lightweight, ideal for very small suction cups but, in proportion, with the same performance of larger series. 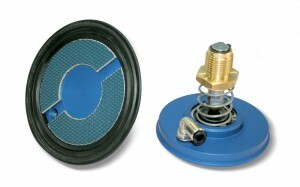 These cup holders can be mounted to suction cups which have a maximum diameter of 60 mm – traditional or bellows cups, in different compounds – and they are composed of: a spring, to cushion the impact of the cup and at the same time to maintain a constant pressure on the load to be lifted, and a quick connector for connection to the suction pipe. Vuototecnica mini cup holders are easy to assemble to the automatisms and they have several types of connection to vacuum (axial or radial), depending on the needs. 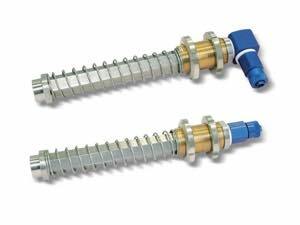 • with short stroke which, along with a special shape, allow even a smaller footprint and a lower weight than other products in the range; and this makes them particularly suitable for small suction cups with diameters between 10 and 30 mm. Marble or stone slabs (whether produced in-house or externally) are generally stored in areas located near the start of the processing lines (in the workshop) and are later loaded onto trucks in order to be delivered to customers, thus requiring them to be moved from a vertical to a horizontal position, and vice versa. The slabs are normally stored on inclined stands or racks with vertical poles. It goes without saying that these large slabs are quite difficult to handle. This is due to the fact that the gripping surface is positioned vertically and, since the slabs are typically stored outdoors, can even be compromised by atmospheric conditions, such as rain, dust or humidity. Vuototecnica is able to resolve this problem for the marble and glass sectors thanks to its special articulated short-stroke vacuum cup holders. 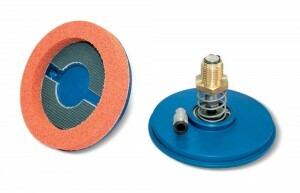 Thanks to these vacuum cup holders, the lever arm that’s created between the vacuum cup and the clamping sleeve for connecting it to the automatism is reduced to minimum during the slab’s rotation, while the anti-slip plastic surface inside the vacuum cup itself ensures the retention of the vertical gripping surface, even when wet. These special vacuum cup holders also feature an extremely compact size, as the swivel joint’s lodging is encased in the vacuum cup holder itself, thus reducing the length of the steel shaft for the suspension. The brass sleeve was also modified during the design stage so as to allow it to be screwed directly on to the automatism. These vacuum cup holders can be used with various types of vacuum cups: those with a sponge rubber lip, for example, are ideal for handling sawn and textured marble or any other material with an uneven surface. When handling objects using vacuum cups, the reliability of the grip can be affected by numerous variables, such as excess transpiration, harsh environmental conditions or a lack of adherence to the product. In order to address the issue of poor object gripping, Vuototecnica has designed and developed miniature vacuum cup holders with integrated self-exclusion valves. This valve closes the suction inlet whenever the vacuum cup is not pressing against the load (when not involved in the gripping operation) or whenever it is not perfectly adhering to the surface in question. 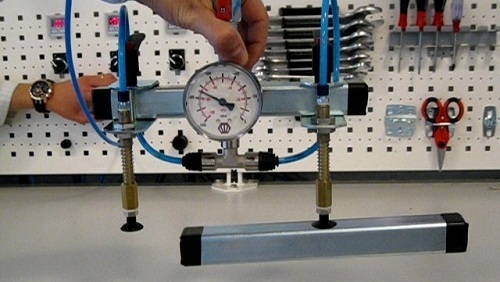 This serves to prevent the vacuum level from being decreased, which can have adverse effects on the rest of the system. And the entire process is automatic. 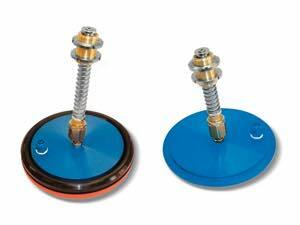 There’s no longer any need to worry about the vacuum cups’ positioning and the exclusion. And while Vuototecnica’s mini vacuum cup holders are extremely small and lightweight, they offer the same performance levels as the company’s vacuum cup holders of larger dimensions. With Christmas just around the corner, the confectionery industry is working at full capacity to manufacture all kinds of goodies: chocolates, snacks and candy. For proper packaging, keeping in mind the correct product quantity, Vuototecnica has designed and created a mini cup holder with magnetic sensor that allows the suction cups to handle pieces while simultaneously counting them, thus preventing the unpleasant surprise of a partially empty box of chocolates. This innovative cup holder has been created to satisfy the needs of a large Italian multinational confectionery company and is therefore able to support a cyclic, continuous and laborious grip and release process. 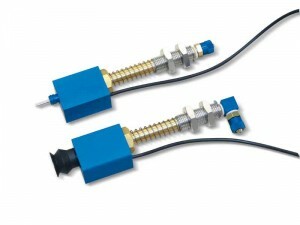 The magnetic sensor is a very important part of the device. It gives an electric impulse to the handling machine each time suction is carried out properly. Instead, a signal is given to the PLC when pieces are not taken properly. In this case, a second packaging phase will take care of correcting the error. The mini cup holders with magnetic sensor by Vuototecnica are suitable for suction cups up to a diameter of 20-25 mm, especially designed for these small products, whether they are bellows or traditional cups. The suction cups for food use are normally in silicone and are produced in compliance with the standards regulating contact with food like the FDA, BGA and TSCA. With Vuototecnica, customisation is always possible, depending on customer needs and application specifications. Many of Vuototecnica products have, in fact, been born from particular manufacturer requirements, like in the case with these special mini cup holders.